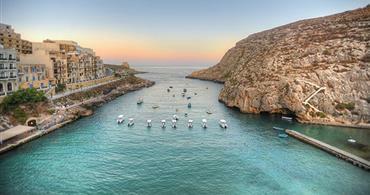 Be sure to check out our current Malta special offers! We have a number of Malta holiday deals and Gozo holiday deals available year round ranging from free single supplement rooms to Malta all inclusive deals. We recommend following us on facebook or signing up to our newsletter at the bottom of the page where you will receive up to date notifications of great package deals to Malta, Gozo holiday deals and any current promotions such as discount codes you can apply. 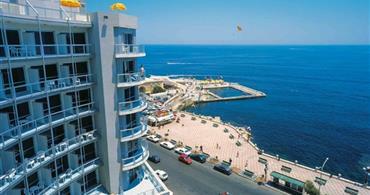 Looking for Malta last minute deals, we regularly update our special offers with all up to date offers. Can't see the hotel your looking for? 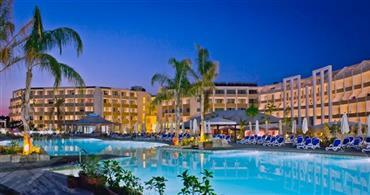 Give us a call on 0800 6400 9011 and we will provide the best price for your preferred hotel. The town of Sliema is located on the northeast coast of Malta and is alive with restaurants, bars and an unmistakably vivacious café culture, typical of the Mediterranean. Offers travellers a stunning location to enjoy the definitive holiday experience. Located in Mellieha, an area boasting a combination of scenic sights and peaceful seclusion, guests can be sure of a superb stress-free holiday. Book now to avoid missing out! 4* St Patricks Hotel Malta, is a small, friendly hotel perched on the scenic edge of Xlendi’s bay - the irrefutably beautiful south west fringe of the Maltese island, Gozo. An ideal choice for some summer sunning. Stay for 21 nights or more and receive a long stay discount. Free Singles - no single supplement for winter 18/19 stays. Offer is limited and once the allocated no single supplement rooms are full, a single supplement will be charged. Reduction for stays over 14 nights. No single supplements 1 Nov 18 to 28 Feb 19. Offer is limited and once the allocated no single supplement rooms are full, a single supplement will be charged. Stays of 21+ nights receive a long stay discount. No single room charges between the 1st Nov to 22 Dec 18. This offer is limited and once the allocated no single supplement rooms are full, a single supplement will be charged. 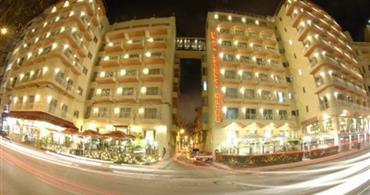 Long stay discount for stays of 15+ nights on HB. Free singles - no single supplement rooms are all internal. This offer is limited and once the allocated no single supplement rooms are full, a single supplement will be charged. 1 free night for each week up to maximum of 3 free nights for 21+nights.